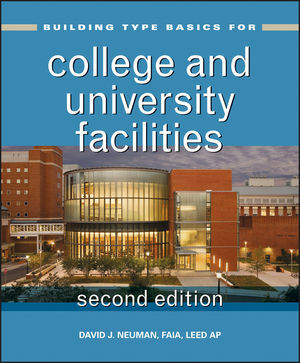 Building Type Basics for College and University Facilities, Second Edition is your one-stop reference for the essential information you need to confidently begin the planning process and successfully complete the design of college and university buildings, large or small, on time and within budget. Award-winning architect and planner David J. Neuman and a roster of industry-leading contributors share their firsthand knowledge to guide you through all aspects of planning higher education facilities, including learning centers, academic buildings and professional schools, scientific research facilities, housing, athletics and recreation facilities, social and support facilities, and cultural centers. The book combines up-to-date coverage of essential issues related to campus planning, programming, and building design guidelines with detailed project examples. This conveniently organized quick reference is an invaluable guide for busy, dedicated professionals who want to get educated quickly as they embark on a new project. Like every Building Type Basics book, it provides authoritative, up-to-date information instantly and saves professionals countless hours of research.